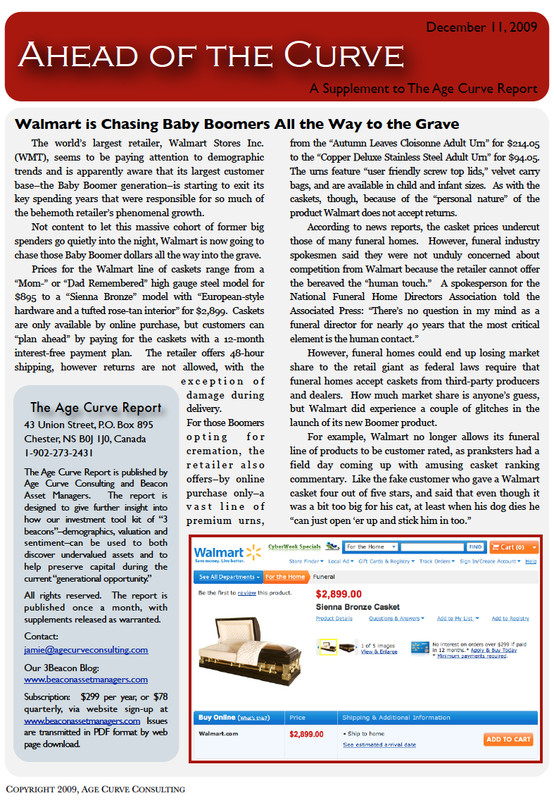 –One of more than 70 articles I produced for the Financial Website, Seeking Alpha. The shares rose almost 5 percent on the news, and were up another 3 percent in this morning’s trading, but we wonder if investors have considered how the company plans to generate these greater returns when the Baby Boomer generation that makes up the vast bulk of its customer base is rapidly aging out of the market, and the generations following do not seem to share the same affinity for the iconic brand. On a price to sales and price to book ratio one can see from the chart below that Harley Davidson is back to the levels of the late 1980s. With the average age of a Harley owner at 47 years, the difference now is that unlike the period 1990 to 2002, the company is no longer mining the demographic growth market of the large Baby Boomer generation. So, not only is the company’s potential market base growing smaller due to the smaller size of the oncoming Generation X, its growing smaller because the oncoming market base has displayed little inkling that it even likes the product. In short, we feel that the company is making a big mistake in divesting itself of two brands that have far more appeal to younger generations than the Harley Hogs, and that company executives, as well as investors, have blinders on with regard to the multi-generational earnings power of the Harley Davidson brand. How many people under 40 do you know that own or want to own a Harley Davidson Motorcycle? We know of none, and an informal poll of friends and family turned up none, which is not saying a whole lot because aforesaid informal poll certainly lacks statistical significance. However, anyone giving any consideration to investing in HOG should conduct their own informal poll because those 40-and-under-year-olds are Harley Davidson’s fast approaching future market, and early indications suggest this future market doesn’t give a fig about Harley Davidson. However, ask an under-40-year-old motorcycle rider if they’d like to own a Buell or an MV Agusta, and the response will likely be quite positive and in some cases may even induce a Pavlovian response. The stock price action would suggest that we do not know what we are talking about; however, demographic change does not happen overnight, it’s a relatively slow progression, kind of like the Harley riders of today slipping into old age and out of their Hogs and into golf carts and wheel chairs. As this comes to pass, Harley Davidson is going to see significant sales declines if the incoming and younger generations don’t buy into the Harley Davidson brand. And Harley Davidson’s earlier success was built on a brand, the branding of the outlaw biker. In the 1960s and ‘70s the Harley Davidson logo was signature wear for the “Hells Angels,” other biker gangs, and bad-boy wannabes–relatively rare and thus “cool.” Today the logo seems almost ubiquitous on middle-aged and elderly bikers, who wear far more black leather and sport shinier chrome on their Harleys than any Hells Angel ever did. The once cool, outlaw-style logo has been homogenized, and is about as outlaw and cool as the Walt Disney (DIS) logo. Harley Davidson has been seeing significant sales declines since 2006, and the CEO reported that it will “bump along the bottom through 2010,” but suggested that the company’s “strategy,” cost-cutting efforts, and overseas opportunities position it for future growth. We believe that a rebounding economy will help Harley Davidson for the short term, but feel that demographic headwinds will prove detrimental to the company’s long term future unless it accounts for the younger generations (please see our July 17 Seeking Alpha article). With the boot Harley is giving to Buell and MV Agusta it appears that executives aren’t giving full credence to younger generational tastes quite yet, but at least they still have a bit of hope with the V-Rod model. Oh, and speaking of overseas opportunities, Harley Davidson executives believe that India and China represent great opportunities and plan to significantly boost the company’s presence in both countries. Let’s see, Harley Davidson primarily makes big, in many cases really big, production motorcycles. People in China, and even more so, India, on average are among the world’s shortest people. There’s just something not right about this picture. –Originally Published Oct. 16, 2009 in Seeking Alpha. I wrote these two blogs for a potential client last year. The client loved them and wanted me to blog for him, but was only willing to offer peanuts for my work. What's up with people who think writers are worth so little? So, you’ve met a new squeeze through an online dating service…. You’re smitten, and one date leads to another date, which leads to another date, but by the fourth date that magic starts wearing off…. By the fifth date you’re starting to think that maybe you’ve made a mistake. In fact, you might be wondering why you didn’t consider doing a background check on this woman, who just a week ago had you thinking weird domesticated thoughts like: I don’t need to go out with the boys Friday night, or Wow, check out the wheels on that baby stroller. But now, as the prospect of your sixth date nears, has you thinking about how to disengage from this nascent relationship without causing undue stress. Disengagement without losing an arm…or, possibly, a family pet. Yeah, should have done a background check…. At least, that’s what the man from Thousand Oaks, California was probably thinking when his ex-online-girlfriend was found in his chimney last month. Now we at xxxxalert.com are not saying that a background search in that case would have conclusively ruled out Genoveva Nunez-Figueroa as prime date material worthy of possible lifelong wedded bliss. But it could have provided warning signals. May have given that Thousand Oaks man enough information about his prospective date to make the relationship evolve more slowly…. 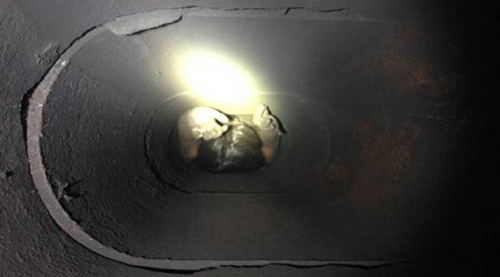 …who ended up trying to break into his house by climbing down his chimney to do who knows what! We’ll never know. But you can protect yourself from potential chimney-invading online dates by utilizing our services here at xxxxalert.com. Many people are confused about the concept of conducting a background check on themselves. What? I’m not a criminal! or I haven’t done anything wrong! would be common responses to the notion. But conducting a background check on yourself is perhaps as valuable to your peace of mind as the one you’re thinking about conducting on your daughter’s new boyfriend–the boyfriend who sports multiple piercings, has more ink in his skin than you have in your printer and said, “nice to meet you Daddy-O,” upon meeting you, while giving you a knuckle-bump to the forehead. A background check on him might come up roses, but the one done on you may contain some potential thorns. Consider that a 2012 study conducted by Javelin Strategy concluded that one in 20 Americans have been affected by identity theft, and that the Federal Trade Commission receives about 20,000 reports per week from consumers who’ve had their identities stolen. And once your identity is stolen, the identity thief cannot only use that information to steal from you, but use your identity to abet his theft from others and make you appear to be the criminal. The FBI’s website details the case of a Miami man whose identity was compromised for over 20 years. The victim’s driver’s license was suspended for driving infractions he did not do. He experienced trouble getting jobs due to records showing a felony conviction for a crime he did not commit. And he was denied a passport because the Department of State determined he already had one, even though he didn’t. All of this being the result of the identity thief’s use of the victim’s identity. And while the victim had filed a police report in 1989, the perpetrator was not caught until 2012. Now we at xxxalert.com are not saying that a background report would have conclusively stopped the criminal from using the Miami man’s identity, but it may have mitigated the damage. Background checks would have allowed the victim to keep better track of how and where his identity was being used, information that could then be passed on to the police. –Neither ever published, I’m sad to say….